Faster recharging lithium batteries could be developed. Rechargeable lithium batteries have helped power the ‘portable revolution’ in mobile phones, laptops and tablet computers, and new generations of lithium batteries are being developed for electric vehicles and to store energy from wind and solar power. Now the research groups of Professor Saiful Islam of the Department of Chemistry at the University of Bath, and Professor Reza Shahbazian-Yassar at the University of Illinois at Chicago, have gained important insights to help improve the performance of lithium batteries, published in the leading journal Nature Communications. Storing electrical energy more quickly than current electrodes is important for future applications in portable electronics and electric vehicles. It was recently discovered that that large metal ions such as potassium can improve charge storage in batteries, but it wasn’t understood why this was the case. The research teams used a powerful combination of structural experiments and computer simulations to unravel for the first time why adding charged potassium into tunnel-like structures of low-cost manganese oxide has a strong beneficial effect on the battery performance. 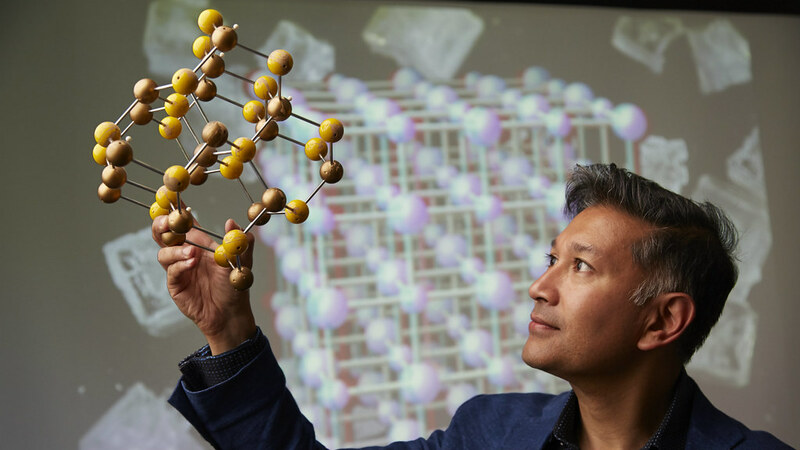 Professor Islam said: “Understanding these processes is important for the future design and development of battery materials, and could lead to faster charging batteries that will benefit consumers and industry. The research is funded by a £3.9 million Engineering and Physical Sciences Research Council (EPSRC) Supergen grant. The University of Bath is a major centre for sustainable energy and chemical research. This includes the Centre for Sustainable Chemical Technologies and the Institute for Sustainable Energy and the Environment.